In 2015, Noah set himself a lofty goal: to become the first person to see half the planet’s birds in one year. For 365 days, with a backpack, binoculars, and a series of one-way tickets, he traveled across forty-one countries and all seven continents, eventually spotting 6,042 species—by far the biggest birding year on record. This is no travelogue or glorified checklist. Noah ventures deep into a world of blood-sucking leeches, chronic sleep deprivation, airline snafus, breakdowns, mudslides, floods, war zones, ecologic devastation, conservation triumphs, common and iconic species, and scores of passionate bird lovers around the globe. By pursuing the freest creatures on the planet, he gains a unique perspective on the world they share with us—and offers a hopeful message that even as many birds face an uncertain future, more people than ever are working to protect them. 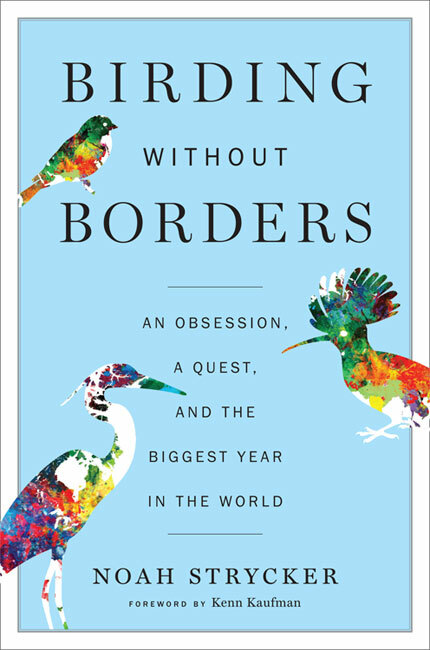 Birding Without Borders is available (in hardcover and e-book) at Amazon, Barnes and Noble, Indiebound, Powell’s Books, and many other booksellers. Ask at your local store! If you would like a signed copy for a gift or personal use, please email Noah at the address below. He is happy to inscribe one and ship it directly. Total cost within the U.S. will be $30, while international buyers will cover extra postage.